The Best Class Ever wants to extend its best wishes – remember those wishes are better and more powerful than any other class – to all for a very Merry Christmas and a Happy New Year. And we wanted to take a minute to thank those who participated in the 4th Annual WRHS Alumni Drive for the Wachusett Food Pantry that was organized by the following classes: 1993, 1994, 1995 and 1997. Together we had the most successful drive in our short history and were able to help those struggling to pay bills put some food on the table during the holiday season. Our totals for the drive included over 20 bags of donations and $565 in monetary donations. As far as the internal competition: the Class of 1995 won “The Greatest Class Ever” title which is good for one year until the next food drive. And Adam Lein, Jill (Fortin) Zelley and Katie “Caribbean Queen” O’Connell have won free admission into The Best Class Ever’s next reunion. Stay tuned in the next few days to find out when that will be. It is that time of year again – time for our annual holiday drive for the Wachusett Food Pantry. We are being joined this year by a number of WRHS alumni classes including – Class of 1993, Class of 1995 and Class of 1997 – with hopefully more to follow. We hope you will all join us in making this drive more successful than the past. Any donation is welcome, big or small, as it all goes towards local residents in need. It begins today and runs through Friday, December 18. We are going to drop off donations on Saturday, December 19 at The First Baptist Church on Main Street in Holden. 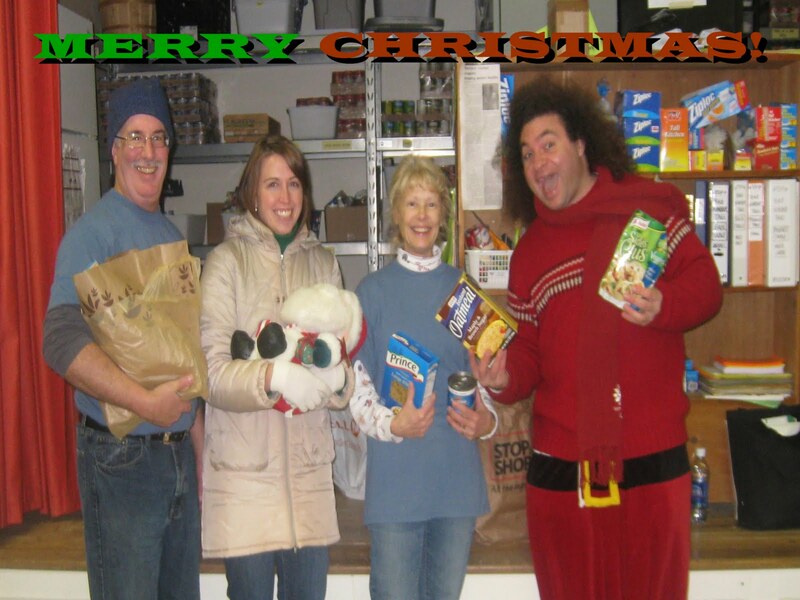 You can also make a tax deductible donation to the: Wachusett Food Pantry. Please include your address so you can receive a receipt for tax purposes of your donation. The pantry is able to use monetary donations to buy groceries at a fraction of the cost at a normal supermarket through its association with the Worcester County Food Bank. PRINCETON: Mountainside Market at 23 Hubbardston Road (Owned by the Class of 95’s Jill (Fortin) Zelley. Mountainside Market is also a Toys for Tots drop off for anyone wishing to donate toys for that cause. The toys will go to needy students at the Thomas Prince School. STERLING: Megan (Hehir) Marshall’s (Class of 1994) home at 27 Tanglewood Drive. Amy (Mikelonis) Davis’ (Class of 1994) home at 11 Rugg Road. Her home is also a drop off for Toys for Tots. LEOMINSTER: Edward Jones investment offices at 63 Main Street (across from the Leominster Post Office). Christina (Gunther) Lashua (Class of 1993) works there and has been kind enough to offer this as another drop off location. The Wachusett Food Pantry helps those in need by providing them with food they may not otherwise be able to afford. In this economy that need is greater than before and provides local residents (young and old) with greater financial flexibility to remain in Holden, Princeton, Paxton, Rutland or Sterling. In addition, two lucky participants will win entry into the rumored Sweet 16 Reunion for the Class of 1994 which will allegedly be held next year. As such we would ask that those who donate provide their name and year they graduated in order to determine the winners of the friendly contests. Of course you can always keep your donations anonymous as well. Thank you for your support and hope you all have a happy holiday season!! !